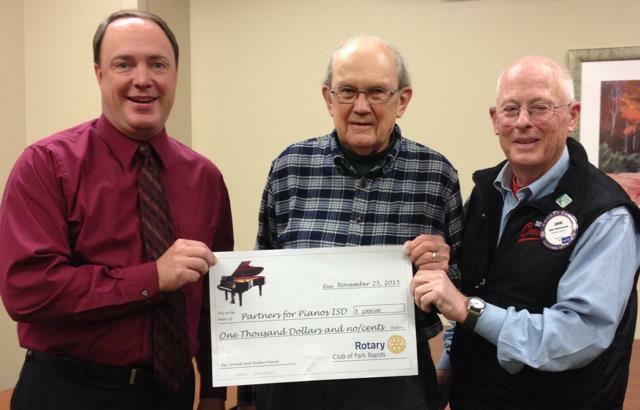 The Park Rapids Rotary Club has donated $1,000 to Partners for Pianos, the effort to purchase pianos for the Park Rapids Area High School. The donation exceeds a Park Rapids Lions Club challenge for local service clubs to match their $500 donation. On hand Nov. 25 were Rotarians (from left) Brian Behrens, Ed Poitras, chair of the club donations committee, and president John Rasmussen.